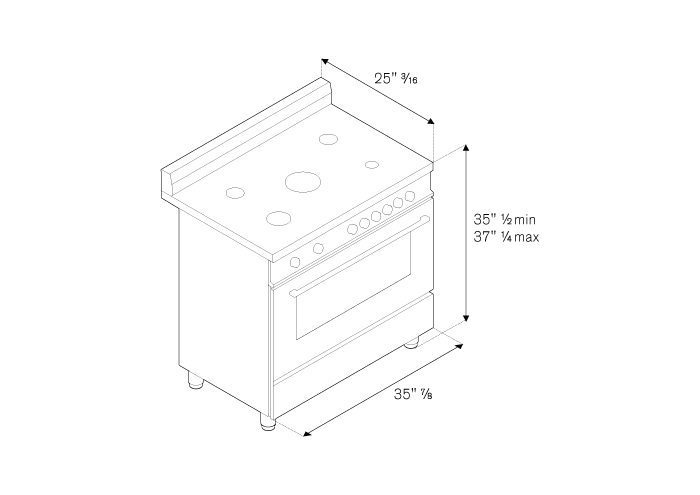 The wide-format range has a cooktop with six gas burners including a dual-ring power burner, high-efficiency burner with separately controlled flames. The electric self-cleaning oven has nine functions, from convection, baking and roasting to warming and includes telescopic glide shelves. The pyrolytic oven linings require no cleaning agents. High temperatures burn off fat and grease leaving a safe, easily disposed of residue. Quadruple-glass door minimises heat loss.